That's the question that Google's Notable Women project endeavors to explore with augmented reality. Using image recognition, the new Notable Women app replaces the usual faces shown on various denominations of US currency with faces from the Notable Women database. Once enabled, the app also lets users tap the screen to read more about the person's achievements. Along with an online database profiling the achievements of 100 women, Google has made the app available for both iOS and Android users. The Notable Women project was inspired by Rosa "Rosie" Gumataotao Rios, the 43rd Treasurer of the United States, and her efforts to place American anti-slavery pioneer Harriet Tubman on the $20 bill. 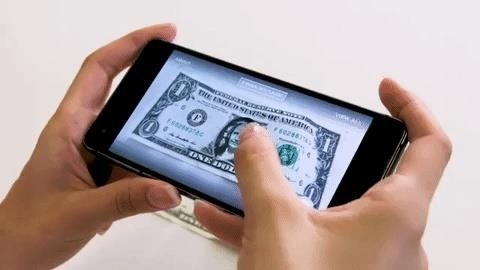 In addition to Tubman, the database allows users to put other figures on US currency in AR, including computer scientist Grace Hopper, aviator Amelia Earhart, civil rights activist Fannie Lou Hamer, former first lady Eleanor Roosevelt, author Helen Keller, journalist and activist Ida B. Wells-Barnett, and many others. 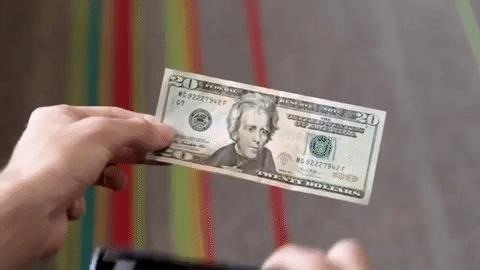 "When Google invited me to speak about my journey as Treasurer of the United States and my efforts to place the portrait of a woman on our currency for the first time in over a century, I didn't think it would end with augmented reality, but here we are," wrote Rios in a note on the Notable Women website. "It was during that presentation that I met a group of Google women who were excited about my ongoing mission to celebrate historic American women, and the role technology could play to bring it to life. They were inspired by two simple thoughts: 'What if we didn't have to wait to see women on U.S. currency?' And, 'What if anyone could learn about women who made U.S. history in a place where they've historically been left out?'" Like Apple, Google continues to make a case for augmented reality as a tool for education. Earlier this year, Google unveiled a Chromebook tablet capable of running ARCore apps in the classroom, and adapted its Expeditions VR app to include educational AR material. For its debut web AR experience, the company gave users the opportunity to view and learn about an ancient artifact. In this case, the Notable Women AR experience is particularly relevant during a period in US history when women's equality is a hot topic in the realm of political discourse. Since cash rules everything around us, the project is an especially poignant way to highlight the ongoing discussion.